A Five Judge Constitution Bench of the Supreme Court has held that the 2006 Judgment in Nagraj Case, relating to reservations for SC/ST in promotions, need not be referred for consideration of larger Bench. However, the judgment by Justice Nariman clarified that there is no requirement to collect quantifiable data of backwardness of SC/STs to provide reservation in promotions. The dictum in Nagraj was held contrary to Indira Sawhney decision to the extent it prescribed collection of quantifiable data of backwardness as a prerequisite for providing reservation in promotions. In the 2006 judgment, the Apex Court had held that it is not mandatory for the State to make reservations for SC/ST in matter of promotions. However, if the State did wish to exercise its discretion, it is supposed to gather quantifiable data showing backwardness of the class and inadequacy of representation of that class in public employment, in addition to compliance with the requirement of maintaining administrative efficiency as per Article 335. The correctness of interpretation given by Nagaraj decision that State should gather quantifiable data showing backwardness of the class and their inadequacy in representation to provide reservation for them in promotion was doubted, and was referred to Constitution Bench for reconsideration during November 2017. Accordingly, a Constitution Bench consisting of Chief Justice Dipak Misra, Justice Kurian Joseph, Justice R F Nariman, Justice S K Kaul and Justice Indu Malhotra was constituted to decide this issue. 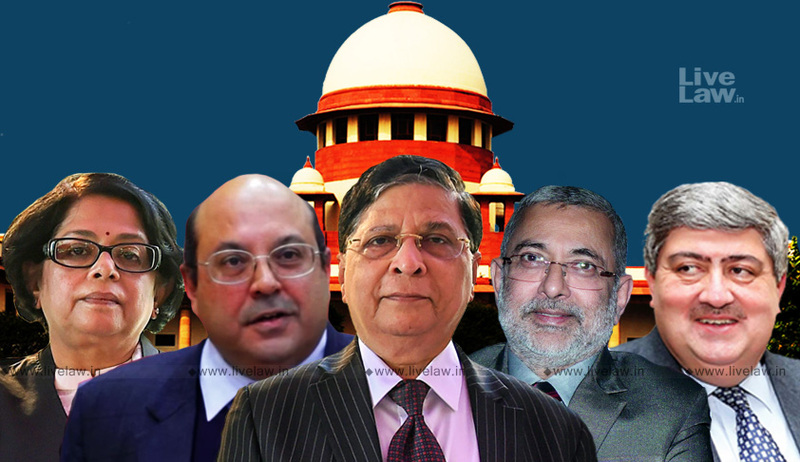 The five-judge bench headed by Chief Justice Dipak Misra heard a battery of lawyers, including Attorney General K. K. Venugopal, ASG Tushar Mehta, Senior Counsel Indira Jaising, P. S. Patwalia, Dinesh Dwivedi and Sanjay Hedge in favour of the reference and, inter alia, Senior Advocates Shanti Bhushan, Rajeev Dhavan, Rakesh Dwivedi and Shekhar Naphade in support of the 2006 ruling. The AG has sought for M. Nagaraj to be reconsidered by a larger bench in view of the seven and nine judge bench decisions in N. M. Thomas (1976) And Indira Sawhney (1992) respectively where it has been held that there is a presumption of backwardness in respect of the SC/ST and that the ‘creamy layer’ concept does not apply to them. Attorney General objected to the requirement of proving backwardness especially for the SC and ST. It was his submission that the criterion of backwardness of SC and ST categories was already satisfied by notification under Articles 341 and 342. During the hearing, the Bench had inquired if the progressive members of the SC/ST could be regarded as backward so as to deserve the reservation not only at the stage of recruitment but even in promotions. After hearing, the Constitution Bench reserved judgment on August 30.